Do you have an apple picking day on your fall calendar? Apple picking is one of my favorite fall activities to do with the family. We don’t have to go far to pick our apples. We are blessed to have an apple tree right in our front yard. Picking apples and canning apple pie filling is a great way to preserve our harvest and enjoy fresh apple pies well into winter! You don’t actually have to pick your own apples to make this recipe. Select a tart variety at your grocery store for the best pies. Granny smith is a reliable favorite. If you can find a Rome Beauty or Cortland – they make great pies too. You’ll want to make sure any apples you buy are organic. Apples always make the EWG dirty dozen list. The apples aren’t the only important ingredient. Making your own apple pie spice adds unparalleled flavor to your pie. 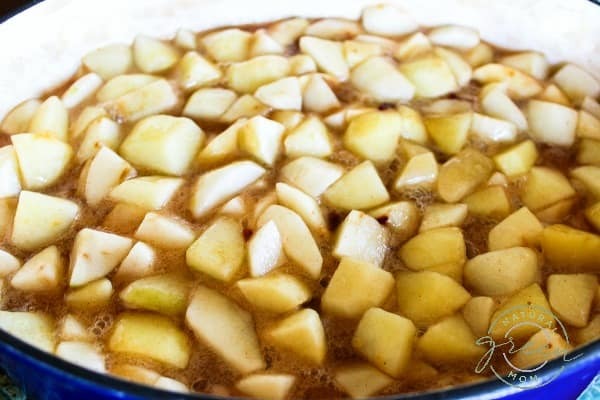 Since this is a classic apple pie filling recipe, I do use sugar and cornstarch. To get the cleanest ingredients possible, look for cornstarch that is non-gmo and purchase pure sugar cane sugar. Turbinado sugar is good alternative as it is less processed. 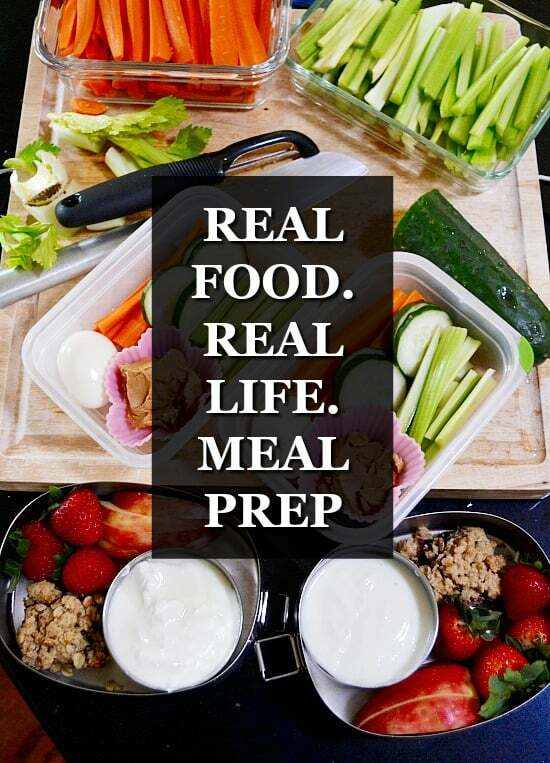 Always start with clean and sterile jars and lids. Don’t overfill. Always fill to the point recommended in any recipe. Use a chopstick to get rid of any bubbles. Always wipe the rims of your jars before putting on lids. Use a timer when processing in the water bath.When you purchase a canning pot and rack, they will include instructions further instructions you’ll want to review. Don’t be intimidated. 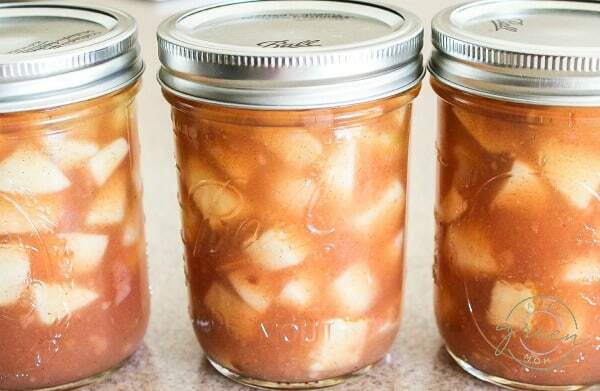 If you can follow a recipe, you can can apple pie filling! Mix sugar, cornstarch, apple pie spice, and salt together in a large stock pot. Stir in water and bring to a boil over medium heat. Once the mixture has thickened, remove from heat. Add apples and lemon juice to the stock pot and stir well. 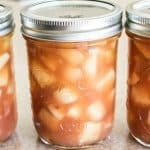 Fill your sterilized canning jars leaving about a half an inch open at the top. Wipe rim of each jar before capping with new lids and clean rings. Process in a water bath canner for 20 minutes. 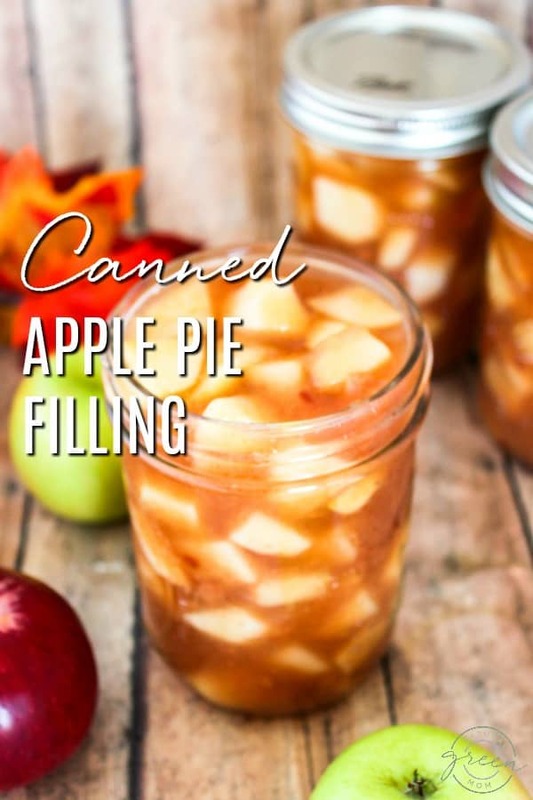 To use your apple pie filling, simply dump the filling in a prepared pie crust and bake!